How many of us have given up carbohydrates for a new year’s resolution, or cut out chocolate for Lent only to fall straight back into our old eating habits within days when the allure of the forbidden food becomes too much? It is for this reason that thousands of people are turning to intermittent fasting as a way of sustainably transforming our relationship with food in the long run. Gone are the days of shunning some of our favourite foods, in fact, the Wellbeing team are true advocates of a balanced lifestyle: we should enjoy a little of what we fancy in moderation. Fasting periodically simply involves rethinking the timeframe in which we eat. Read on to find everything you need to know about this achievable alternative to dieting. Intermittent fasting works by making your body burn stored fat to produce energy. Insulin is key in this process. When we eat, our bodies produce insulin, and when insulin levels are high, it is difficult for us to burn fat. Between 8-12 hours after eating, our bodies begin to enter a fasted state and our insulin levels drop. Because we are used to eating regular meals, our bodies rarely enter a state of fast for long enough to go into a fat burning state. This is where intermittent fasting comes in. Fasting-led diets can enable us to lose weight without restricting the types of food we eat, because we are encouraging our bodies to start burning our stores of fat to produce energy. Diets in which we cut out certain food groups entirely are often unsustainable in the long-term, but instead of limiting what you can eat, intermittent fasting gives us the opportunity to simply change when we eat, which can be a more achievable and lasting lifestyle change. The obvious benefit of intermittent fasting or time restricted eating is weight loss. A study published in the International Journal of Obesity found that one method of intermittent fasting, the 5:2 diet, resulted in overweight and obese women losing over 6kg – nearly a stone – over six months. While more research needs to be conducted into the benefits of periodically fasting in humans, initial studies seem to suggest many and varied benefits beyond weight loss – including anti-ageing! As we know, ageing is caused by an overly-high production of harmful free radicals. When we start fasting, we may experience a small increase in free radical production – in response, our cells increase their natural anti-oxidant levels to fight against them. This actually helps build our cells’ resilience, encouraging them to cope better with damaging free radicals in future, making them less susceptible to ageing. Fasting, therefore, may actually expose our bodies to healthy levels of stress, making us more resilient in future. Studies looking into periodic fasting have also found considerable improvements in individuals with high blood sugar and positive effects on LDL “bad” cholesterol and high blood pressure. What are the different methods of intermittent fasting? There will never be a ‘one size fits all’ diet, as we all have such different body shapes, lifestyles and eating patterns. There are a number of effective ways to fast periodically, which makes finding a diet to fit in with your schedule much easier. Read on to find out about how you can fit these methods around your busy lifestyle. Amazingly, daily intermittent fasting shows positive results without requiring any reduction in the amount of food you eat. Instead, it involves cutting down the window of time in which you eat. This commonly involves only eating within an eight-hour window, allowing your body to fast for 16 hours a day. An easy way to achieve this would be to eat an evening meal by 8pm, then having your next meal at 12pm the following day. This allows you to eat lunch and dinner at sociable hours with family and friends. You may naturally consume fewer calories this way, as you may not feel inclined to squeeze three full meals into eight hours. It may take some getting used to, but adopting a new eating pattern will very soon become habitual – plus, you don’t have to skip dessert! The benefit of a weekly intermittent fast is that you can reap the wellbeing rewards of fasting, but only have to do so once a week. 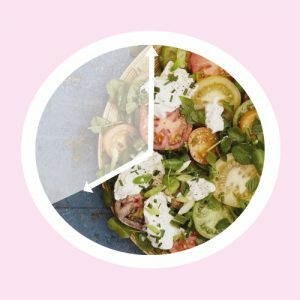 This simply involves choosing two consecutive meals per week to skip, so there is a 24-hour gap between meals. If supper is your non-negotiable meal, enjoy it as usual, then miss breakfast and lunch the next day. Alternatively, you may find that eating a filling lunch on a Friday is enough to sustain you through the day – if you then treat yourself to a lie in on Saturday morning, you’ll only have a few hours to wait before you can enjoy a delicious weekend brunch. The 5:2 diet has been a popular choice for several years now. To practice the 5:2, eat your usual meals five days per week, then pick two days on which you will only eat 500 calories – this may be one filling meal a day, or a couple of small, light, vegetable rich meals. It is thought that to lose between one quarter and half a kilogram per week, you would have to cut 2000 kilojoules (478 kcal) of energy out of your diet per day. 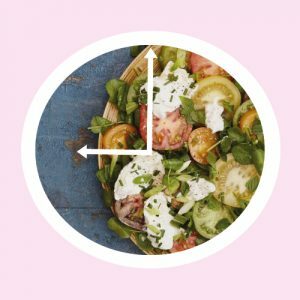 Instead of cutting out 14,000 kilojoules over the course of a week, the 5:2 diet works by cutting it out over just two days. It’s easy to see why intermittent fasting has become such a popular diet choice. Changing your eating patterns long-term to fit around your lifestyle is far more sustainable than short, sharp bursts of cutting out entire food groups, only to return to your old habits with a vengeance. 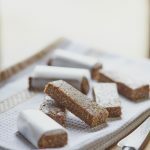 – Why not make these energy-boosting snack bars?